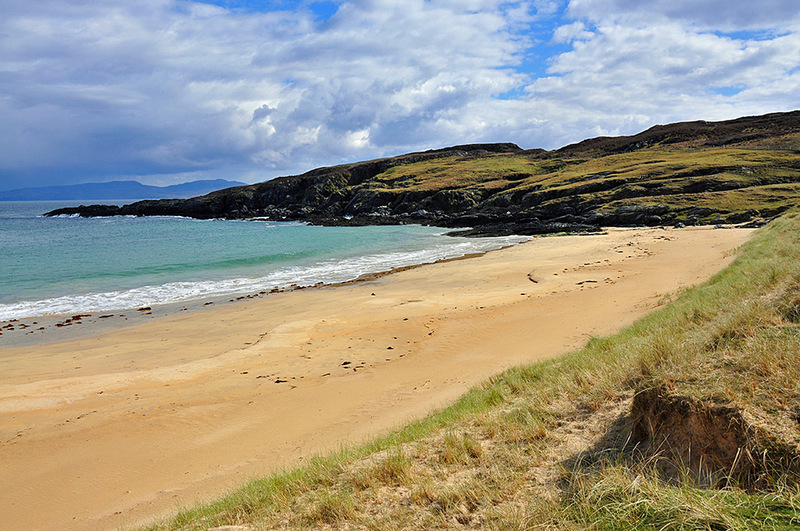 After the panoramic view from the top of the dunes a closer look at Balnahard beach in the north of Colonsay. Taken in April 2012. Some time ago I posted the view north at Balnahard beach on Islay’s neighbour Colonsay. Here’s the counterpart looking south. Jura visible in the distance under the clouds.